The Take Me Out To The Ballgame baseball shorts are a fun short to wear to the ballgame to show your baseball spirit. Everyone loves popcorn, pretzels, cotton candy, and cracker jacks at the ballgame. These shorts display all the ballgame favorites. The Take Me Out To The Ballgame baseball shorts are designed with a side seam, slit pockets and have an inseam of approx. 9 inches. The Take Me Out To The Ballgame Cancer baseball shorts also have an elastic waistband and drawstring for a great comfortable fit. 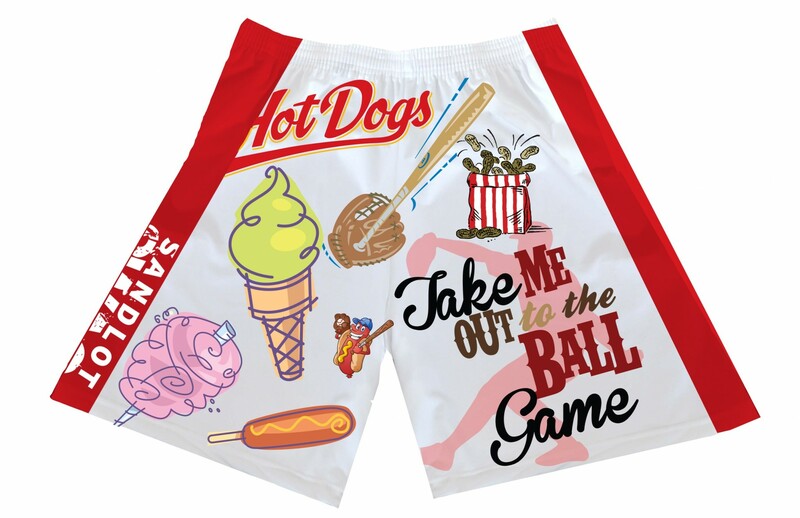 The Take Me Out To The Ballgame baseball shorts feature the Sandlot Swag brand located on the front of the shorts. All our baseball shorts are made using a sublimation process in which the designs are dyed directly into the fabric. 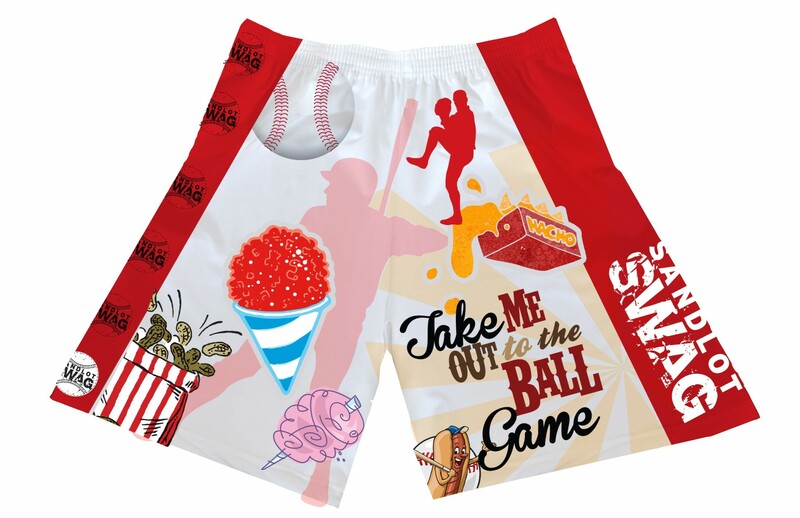 The Take Me Out To The Ballgame baseball shorts design won’t fade or wear off and are made of a polyester fabric, so they will not shrink. 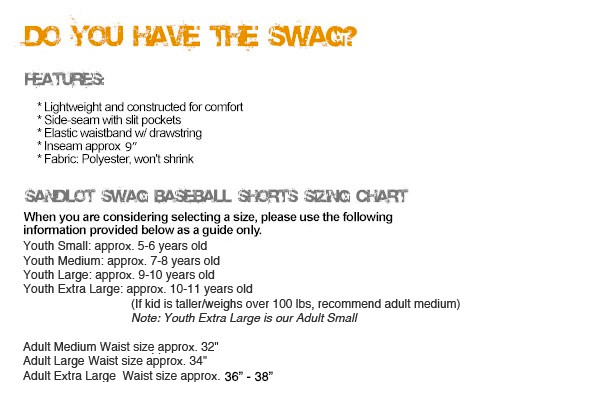 Sizes available for Take Me Out To The Ballgame baseball shorts are youth small, youth medium, youth large, youth extra large, and Adult baseball shorts sizes are medium, large, and extra large.